This story hit the ground running and never let up. We are introduced to DJ Slaughter, a man living out his life in solitude. But one decision changes everything. The pace of this story made it hard to stop listening, and I found myself sitting in my car to finish a chapter. I loved the characters, even the bad ones were well-developed, and I need to know what happens next. There is some violence, but I felt it was very appropriate for the story being told. This was an excellent listening experience! What a great start to a new (to me) series. 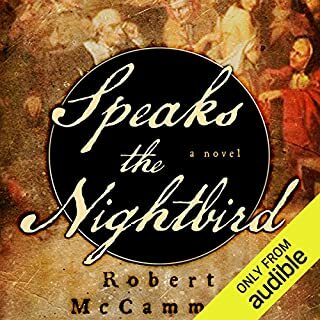 I picked up this audiobook when Audible was having a sale last month. When I first started listening, I wasn't sure if I was going to like the story, as it was quite the departure from his other books. But it didn't take long for me to realize how wrong I was. I was fascinated with the narration, which absolutely brought the characters to life. The story was intriguing as well as intense, and kept me wanting to know what happened. I loved the characters in the story and look forward to listening to the next book in the series. I am so glad that I started this series. I really wanted to love this book, but for me, it was just okay. Some of the violence was hard to listen to, but it was integral to the story. The story had good potential, but it just seemed slow to me. I felt like very time I started getting into it, it went in another direction and lost momentum. 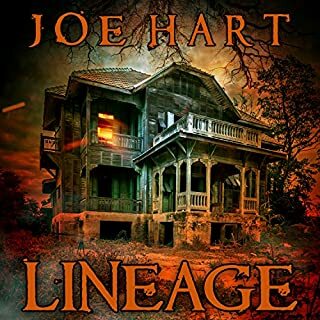 This was my first Joe Hart book, and I will definitely try again with some of his other stories. 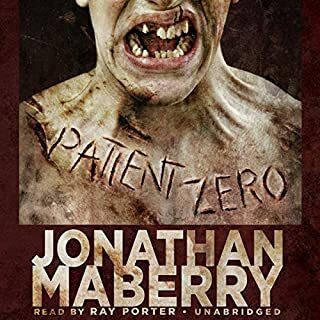 To be honest, I put off listening to this book because I thought it was all about zombies. Boy was I wrong. The story revolves around Joe Ledger, and he is one tough guy. He is a Baltimore detective who has been approached by a new government group called the Department of Military Sciences. This is a fast-paced story that had me on the edge of my seat. 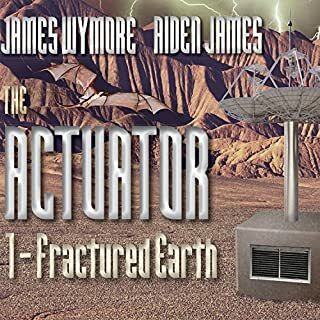 I listened to the audiobook, and the narration was great. 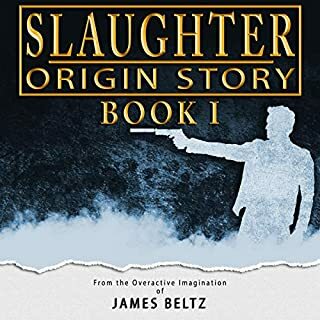 I plan on checking out more of Joe Ledger's adventures soon. I am not usually a fan of short stories, but these definitely changed my mind! In spite of their length, these stories are intense and intriguing and left me wanting a few more. I listened to the audiobook, and the narration was excellent. I have mixed emotions about this book. At times I really enjoyed the story and the supernatural elements presented. At other times, I found it random and confusing to follow. 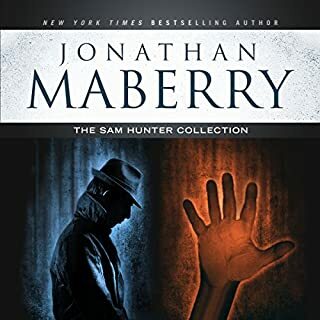 I listened to the audiobook, and greatly enjoyed the author reading his own work. 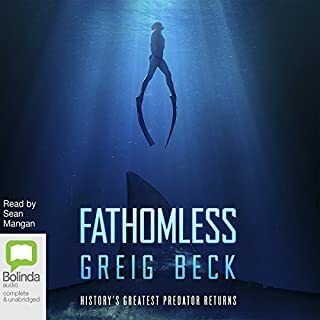 This was an entertaining deep water creature book by Greig Beck. This story was intense and had me feeling a bit claustrophobic from some of the scenes. It was a thrill ride from start to finish and I enjoyed it immensely. The narration was good, but I was a bit distracted by the pronunciation of Megalodon. A Nightmare Machine, or Utopia? As much as I like to read, I have to admit that the idea of a machine that can change things into my favorite genre and story is a bit terrifying. This story explores all of the things that can go wrong with that scenario. 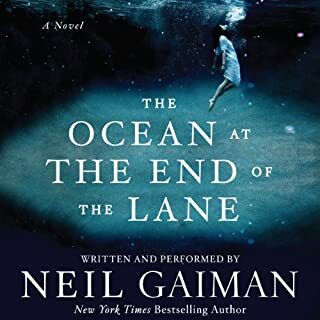 I finished listening to this audiobook today, and it was a wonderful experience. 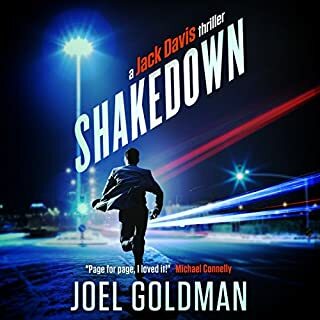 The narration is top-notch, and I can only hope that the next book will also be released as an audiobook with the same narrator. I picked this up because it was Audible's Deal of the Day and found it to be a wonderful experience. 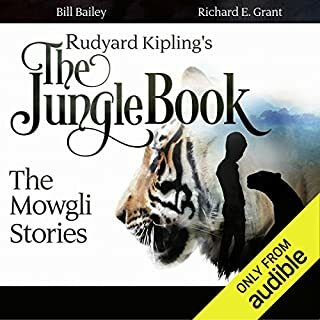 As familiar as I was with The Jungle Book, I had not heard of these additional stories. I am so glad that I found them! The narration and the sound effects are superb and I was enchanted with these stories.